Blurb Description: Carver Briggs never thought a simple text would cause a fatal crash, killing his three best friends, Mars, Eli, and Blake. But now Carver can’t stop blaming himself for the accident and even worse, a powerful judge is pressuring the district attorney to open up a criminal investigation. Luckily, Carver has some unexpected allies: Eli’s girlfriend, the only person to stand by him at school; Dr. Mendez, his new therapist; and Blake’s grandmother, who asks Carver to spend a “goodbye day” together to share their memories and say a proper farewell. Soon the other families are asking for their own goodbye day with Carver—but he’s unsure of their motives. Will they all be able to make peace with their losses, or will these goodbye days bring Carver one step closer to a complete breakdown or—even worse—prison? 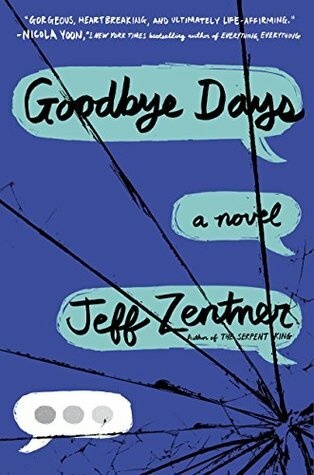 · Goodbye Days was EASILY one of my most anticipated reads of the year. 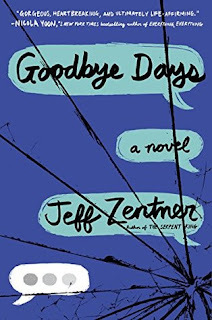 I ADORED Jeff Zentner’s The Serpent King and all the heart break and hope it made me feel, and I was so excited for what he would do with Goodbye Days. · That being said, I REALLY REALLY wanted to enjoy Goodbye Days. I think Jeff is an AMAZING person, I love his writing style and this book IS THE PERFECT SET-UP FOR HEARTBREAK. · I lost a friend recently. We weren’t ‘best’ friends by any means, but we were friends, and his death was so senseless and so reckless and it just shocked me that life could end that easily, and I really wanted to feel something with this book as the protagonist loses his THREE best friends. · Goodbye Days WAS NOT what I thought it would be. For starters, I didn’t once FEEL that overwhelming grief that I wanted to feel, and that I felt when I heard the news about my friend. The book fell TOTALLY flat in this aspect, and more than feeling the grief, the main focus of this was getting back to ‘normal.’ It’s just how I felt – maybe not AS much with Carver, but definitely with Jesmyn. · Another thing I couldn’t wrap my head around was Carver and his dead best friend’s girlfriend – Jesmyn. I would have liked them as friends, I REALLY WOULD HAVE, but I KNEW that he was developing feelings for her, and this feeling or wrongness settled around me that I couldn’t shake. I liked that they hung out, I LOVED that they had each other for support but it still felt all sorts of wrong to me. · I did LOVE two very specific characters in the book – Nana Betsy and Georgia. Nana Betsy was honest and good and kind of an awesome grandmother (I went and gave mine a long hug after) and I FELT HER PAIN. More than anything else, I FELT HER PAIN. It felt like the pain I expected from Carver, but didn’t get. Georgia is Carver’s older sister and she too is all kinds of awesome. They made the book a whole lot better. · I also wish we had MORE of The Sauce Crew flashbacks, and less Jesmyn and Carver (The Sweat Crew) because I feel like even AFTER the Goodbye Days for each of them, that I BARELY KNEW THEM, And HOW DO I FEEL SAD FOR PEOPLE I DON’T KNOW? I would recommend Goodbye Days – it’s a thought provoking read, but not as much as I would shove The Serpent King into your arms and faces. 3 stars. 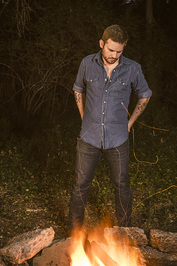 Have you read a Jeff Zentner Book? What did you think of it?